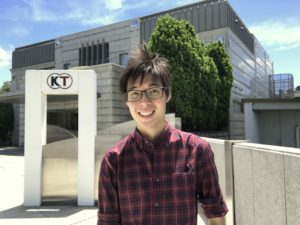 ■ Why did you choose to join Koei Tecmo Singapore (KTS)? When I was an undergraduate, I exceptionally enjoyed creating animations with complex manoeuvres. Some of Koei Tecmo’s flagship titles are famous for their elaborate fighting moves, and I hoped to be the hands and mind behind such creations. Also, Koei Tecmo Singapore has been established for a substantially long time and felt like a stable place where I could grow. ■ How is the working environment like? A lot of emphasis is placed on nurturing every employee in terms of both skill and mindset. To that end, there is close interaction between seniors and juniors. At the same time, the company promotes responsibility over one’s own growth. While seniors will guide you onto the right path, it is up to you to have the discipline and commitment to decide how far that path takes you. ■ What are some of the challenges that you have encountered in your work? The quality of art is directly proportionate to the amount of effort spent. As an avid artist myself, I appreciate every bit of extra time to polish the product even more. However, in a production setting, scheduling comes into play. Striking a balance, so as to achieve quality while ensuring prompt completion, can be a challenge at times. ■ Most memorable moment in KTS? When describing art or animation, I often find myself using either body language or onomatopoeia; be it to express the impact or timing. I remember feeling pleasantly surprised early on by how easily the team communicates ideas through such means as well. I thought that this must have only been possible due to our shared passion for our creations. ■ Share about your trainee life in Japan. On top of picking up techniques from my seniors, I saw myself as an ambassador of sorts. The rapport between the Japanese staff and I during my training stint, would form the basis of our teams’ working relationship after I returned to the Singapore office. Having good communication leads to mutual trust between our teams; and from there, creative collaboration becomes possible. Having the opportunity to immerse within the Japanese working culture was also a fruitful eye-opener. Their commitment to excellence, and the patience they had in imparting skills to juniors was very inspirational to me. ■ A word for the potential applicants.